Up to 30 remarkable heritage achievements from all over Europe will be awarded. 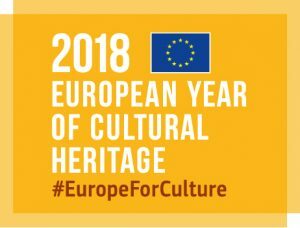 Of those, 7 laureates will receive a Grand Prix and €10,000 each; one will be granted the Public Choice Award, chosen through an online poll conducted by EuropaNostra, the leading European heritage network. The EU Prize for Cultural Heritage / Europa Nostra Awards (as of 2019 the European Heritage Awards / Europa Nostra Awards) was launched by the European Commission in 2002 and has been run by Europa Nostra ever since. The Awardshave brought major benefits to the winners, such as greater (inter)national exposure, increased visitor numbers and follow-on funding. The Awards scheme is supported by the Creative Europe programme of the European Union.